One-year-old Khawla is examined by a doctor in Al-Sabeen Hospital. The first light of morning brought bad news to Mohammed, in the small hospital room where he has been staying. 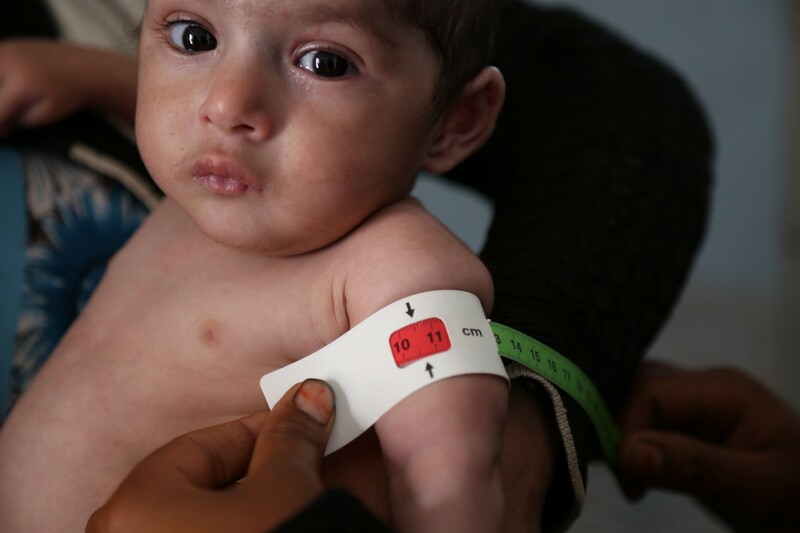 His two year old cousin Yehia has succumbed to a growing crisis consuming Yemen — severe and acute malnutrition. He isn’t mourning. He is choosing to be strong for his younger brother, Mohanned, who lies besides him, curled up in bed, breathing noisily as the air pushes through into the lungs. Mohanned lies on a bed after being admitted to Abs Hospital for urgent treatment. Mohammed holds his younger brother’s frail hands. “I have already lost a cousin to malnutrition today, I can’t lose my little brother” he says. Some of the children receiving treatment for malnutrition at a paediatric ward. 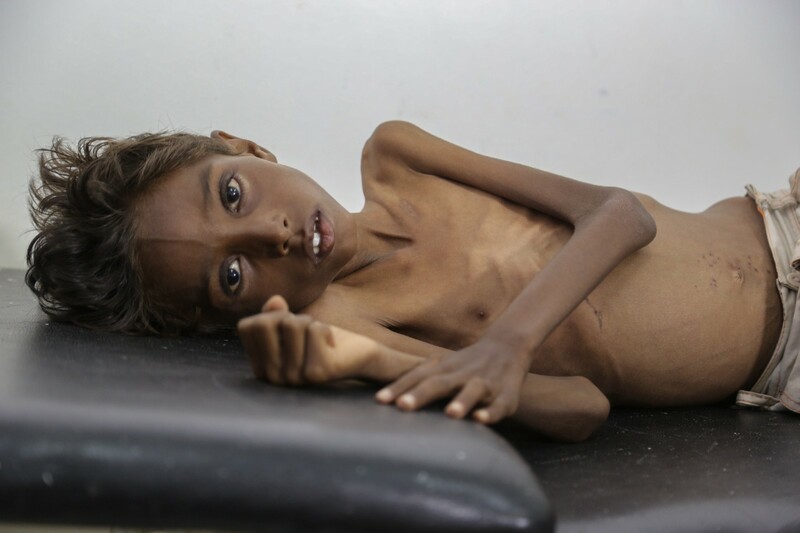 Mohamed is undergoing treatment at the Abs hospital in Hajjah, a region of Yemen which has some of the highest numbers of malnourished children in the country. With little food, their family barely makes ends meet. Their 35-year-old mother Juhairiyah is ill but nobody knows what’s wrong with her. She has never been to a hospital. Their father works as a farmer in another district and can afford to come home only once in a month. Yemen is one of the poorest countries in the Middle East. Much of the country’s workers are farmers or craft workers, but unemployment is high — more than 35%. With a Civil War raging since 2014, a large part of the population has been left poorly resourced to cope. The red marking indicates this child is suffering from severe acute malnutrition. It took an hour for Mohammed to reach the hospital from their village, driving through areas where fighting between armed groups is common, with his brother sitting uncomfortably in his lap. The drive is as bumpy as it is unsafe, but there is no choice. Mohanned’s health has been deteriorating for over two years and only now has the family been able to afford the cost of bringing him for treatment. Mohammed hopes it’s not too late. His younger brother’s recovery has been slow. Children being treated at a UNICEF-run clinic for malnutrition. 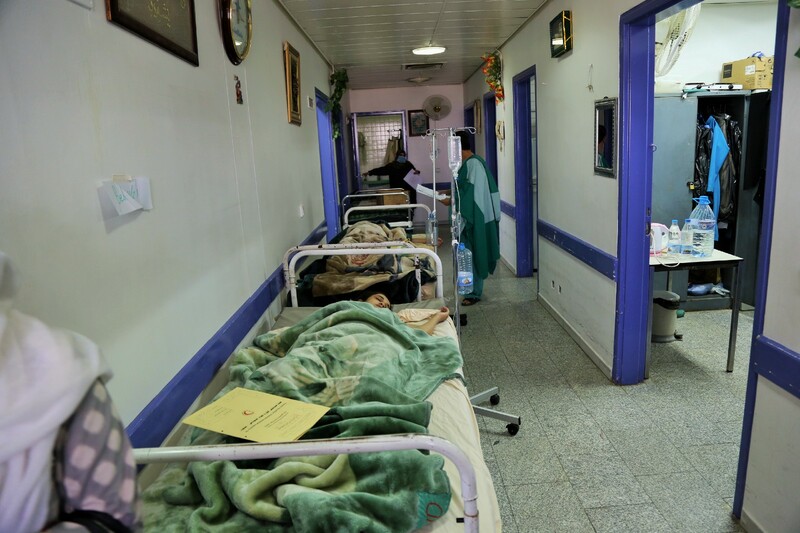 It’s been nearly two years now since the conflict escalated in Yemen, and less than a third of the country’s population has access to medical care. Less than half of the health facilities are functional. 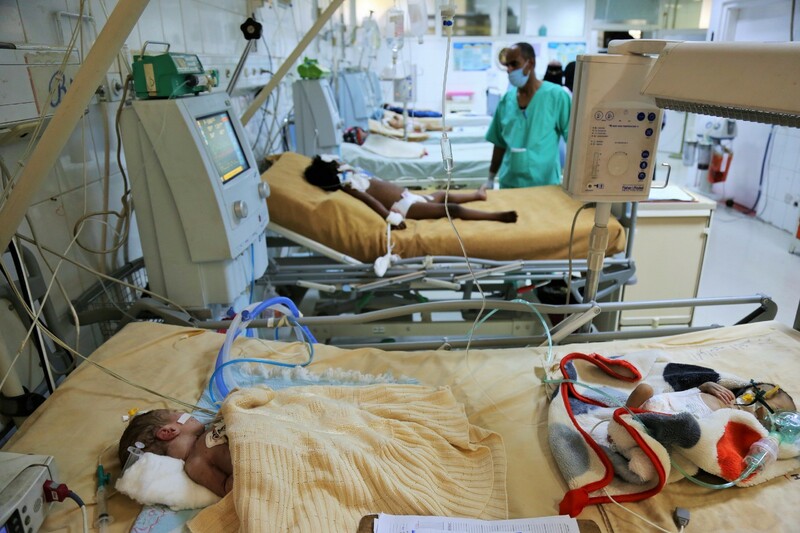 At least a thousand children under five are ying every week in Yemen, from preventable diseases such as diarrhoea, malnutrition and respiratory tract infections. Children who could easily be saved are now fighting to stay alive. 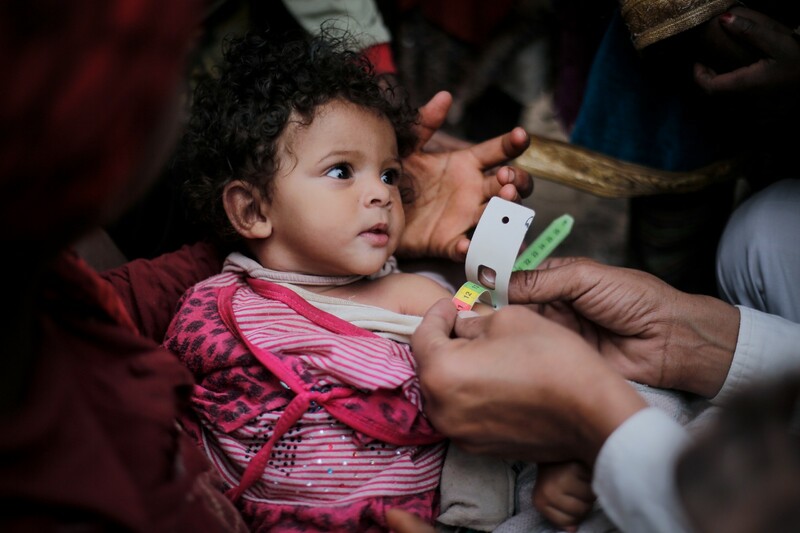 In 2016, UNICEF has supported the treatment of 215,000 children suffering from severe malnutrition across Yemen and provided more than four million children with vitamin supplements to boost their immunity. But this lifesaving work is being held up by a shortage of funding and limited access to areas caught in the fighting. Funding continues to be a challenge. In 2017 alone, UNICEF needs $100 million to provide much needed nutrition services to mothers and children across Yemen. With a grievously sick brother, an ill mother, and a father who cannot return home for days at end, Mohammed knows he has a lot resting on his young shoulders.